One day workshop with all the materials included. Join me in Minneapolis in March! This will be the first time in the US! “Color Inspirations” is 10 years old in 2019! 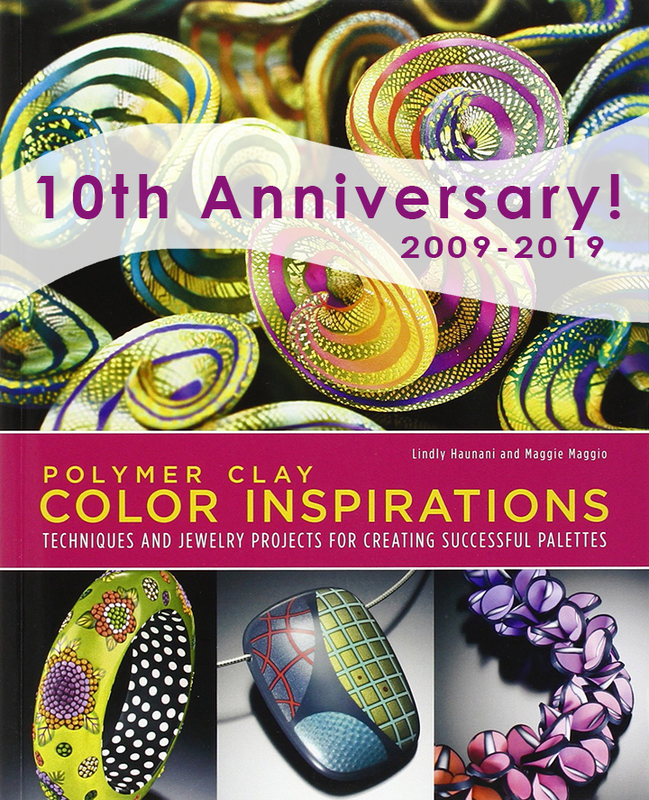 This seminal book came out in the summer of 2009 and over the years has become a classic reference for polymer artists and anyone interested in learning about color using polymer clay. If you have not had the chance to sit down and do the exercises and projects in the book now is your chance. 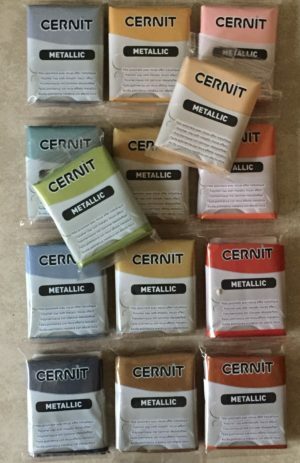 Come spend the day with co-author Maggie Maggio as she guides you through the second chapter in the book “Understanding the Three Properties of Color” while testing the 14 colors of the new Cernit Metallics. 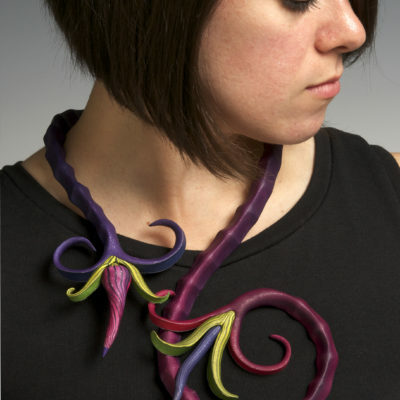 Once you go through the exercises and make a variation of the first project in the book, you will be excited to jump into color testing and explorations in any brand of clay and in any medium! 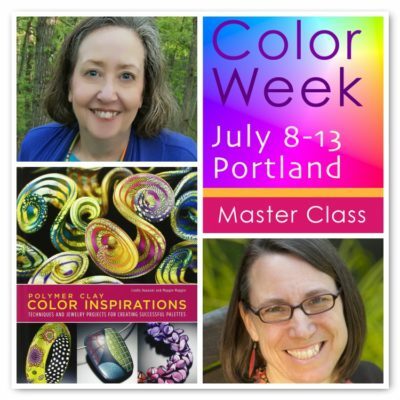 While the bracelets are curing, Maggie will take you through the first part of Chapter Five of the book “Mixing Colors That Flow” and demonstrate the steps of making Color Scales in polymer clay. They are gorgeous in the metallics and much easier than it looks in the book! 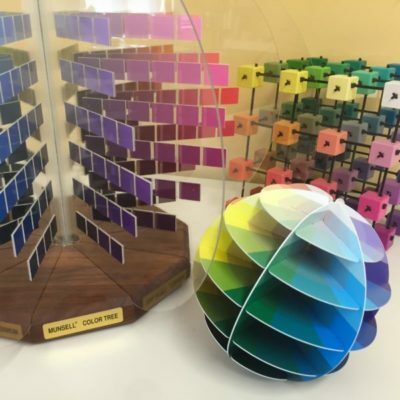 You will be able to make at least one color scale in class. 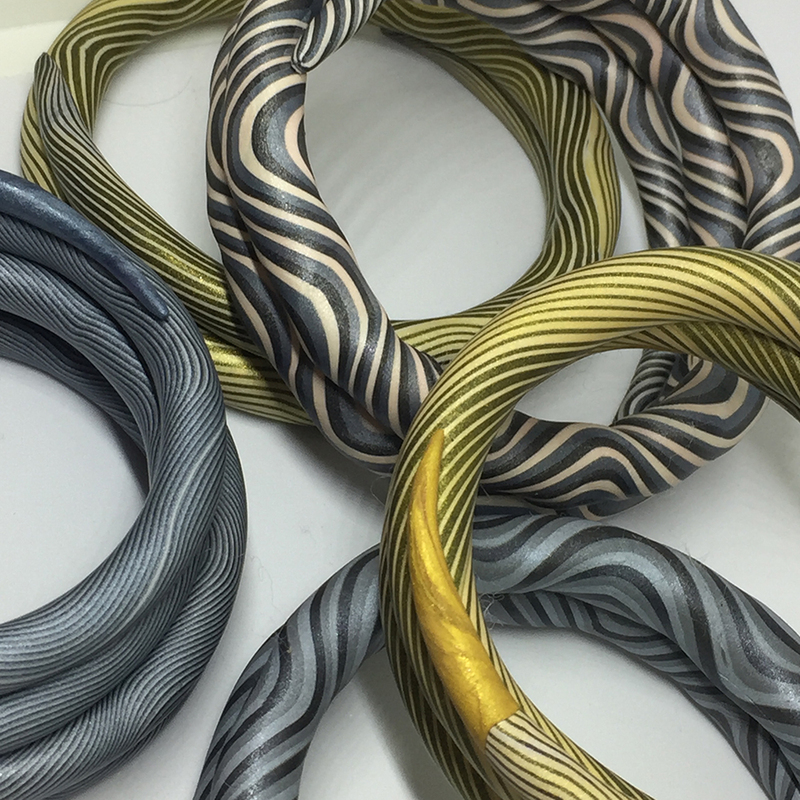 Warning: Making color scales can be addictive! Students Bring: Pasta machine, work surface, blade, roller, make-up brush. Hours: Doors open at 9. Class runs 9:30 – 5:00 both days.